We provide title evidencing products to the legal, real estate, lending and title industries, as well as the property owner. 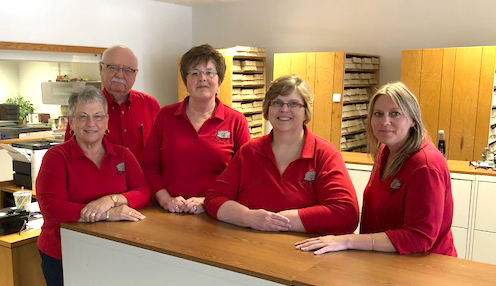 Kossuth Abstract & Title Company, located in Algona, Iowa, services all of Kossuth County, which is Iowa’s largest county. The company opened in the 1860’s and has through the years continuously provided title evidencing products to the legal, real estate, lending and title industries as well as the property owner. Our products include written title evidence in the form of abstracts, written reports and specialized real estate searches. We are members of the American Land Title Association, the Iowa Land Title Association and Title Guaranty of Iowa. Services including: lien reports, ownership reports, and lien and closing searches. Title Guaranty Forms 900 & 901: Written report showing legal description, titleholder, judgments, taxes, liens on real estate form the date of a Title Guaranty Form 900 report. We offer forty year marketable abstracts, abstract continuation, and stub abstracts.